With new innovations in sound being created daily, there are some genres of music that will never go out of style and have changed little since their inception. Blues and acoustic guitars will forever resonate with the majority of music lovers. Combining these iconic sounds with pop creates a type of music that is accessible and ubiquitous. Canadian singer-songwriter, Elessar Thiessen, is a reflection of the synthesis of blues guitar licks fused with modern pop rock. With a safe and mainstream style similar to that of John Mayer, Jason Mraz or Jack Johnson, Thiessen is a talented singer and guitarist who began his musical journey at the age of eight when he acquired his first guitar. Because of Canada's harsh winters, Thiessen spent his time indoors focusing on music, keeping his mind active during long bouts of physical inactivity. Known for his casual character and vivacious ambition, Thiessen spends most of his days in the studio working as a full time producer and his free time is often filled with surfing, spirits, and pursuing his many personal musical projects. 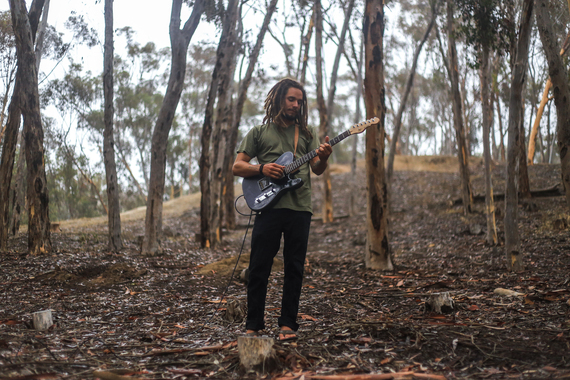 He began his training in music production as a high school student under the tutelage of an award-winning teacher and composer, Zane Zalis. Zalis provided Thiessen with the proper foundation to build a sustainable career as a producer. From there he ventured out confidently into the world of music gaining knowledge from various mentors along the way. Currently working as an independent producer, he has worked on a wide variety of artistic styles ranging from hip hop to pop. 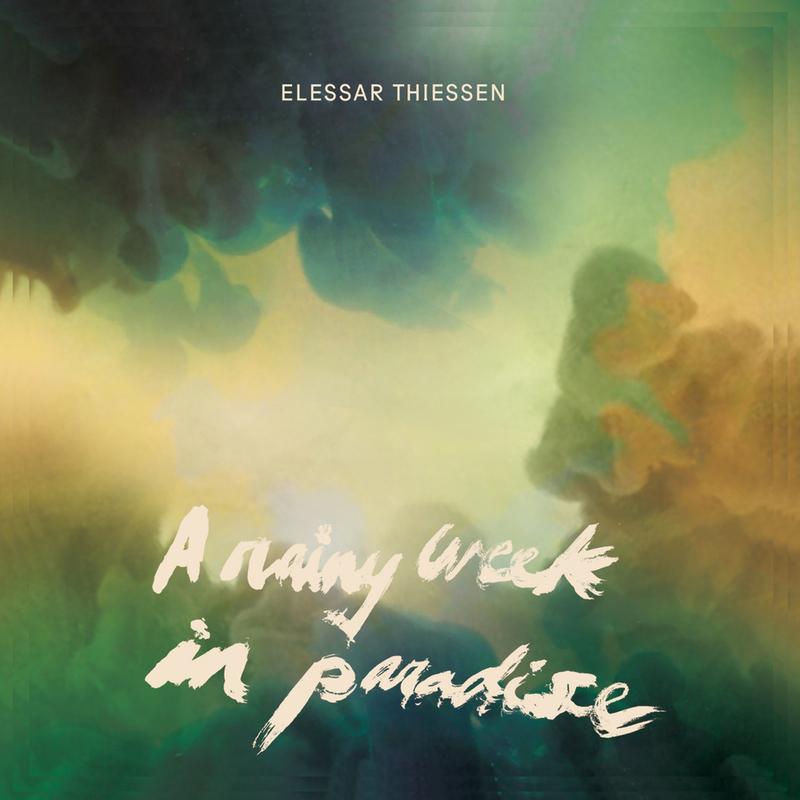 His latest album titled A Rainy Week in Paradise is soothing and passionate, a mixture of simple arrangements and airy lyrics. Thiessen comes across as a humble artist who allows his passions to speak for themselves without concern of what people will think. His music is comfortable and sweet, like a floral breeze on a warm, spring day. A Rainy Week in Paradise led him to being chosen for an artist showcase concert for the Winnipeg Folk Festival, a chance for him to share his craft with a wide audience. Thiessen is an honest and courageous songwriter who shares the inner workings of his soul with his listeners. A Rainy Week in Paradise candidly exposes his deep longing, moments of angst and agony, fears and insecurities, yet with a constant glimmer of light. Though dark at times, he remains rooted to hope and joy, love and truth, and his faith. Like many of the most successful musicians, Thiessen uses all of the feelings in the emotional spectrum, not afraid to dig deep within his own subconsciousness. Every song on the album was written and produced by Thiessen with musical contributions from Cam Friesen (drums, percussion), Brody Britton (percussion), David Landreth (bass), Jordan Jackiew (organ, piano), Alexa Dirks (vocals), and Catherine Wylee (vocals). Jordan Jackiew also mixed and mastered A Rainy Week in Paradise. Elessar Thiessen, whose name is kingly to anyone who is a J.R.R. Tolkien fan, has created an album that will reach the hearts of many. Its easy listening, connected lyrics, and passionate execution will undoubtedly garner attention.